Avianca LifeMiles may not necessarily be one of the most talked about miles like ANA, Virgin Atlantic, or United, but we find LifeMiles extraordinarily useful, particularly for those who are Citi loyalists! Headquartered in Bogota, Colombia, Avianca Airlines has been the national airline and flag carrier of Colombia since 1919! It’s also part of the Star Alliance — the largest airline alliance in the world. In fact, there are so many good options for using your Avianca LifeMiles that it can often be difficult deciding which flights to take! But in this guide, we will show what we believe to be the best ways to redeem Avianca LifeMiles for maximum value! You can also regularly earn loads of miles from sales of up to 125%-150% bonus miles! Avianca does have a few disadvantages, one of which is a not-so-competent phone reservations department. If you do find an award that isn’t bookable online, you will need to call them over the phone, which can be a pain. There is also a flat $25 award booking fee, and a high set of award change/cancellation fees. For more details on award fees, check out our guide for airline award cancellation and change fees! It’s also important to be aware that award availability on the website has been inconsistent; it doesn’t always show the same availability as websites like United.com or Aeroplan.com. One last tidbit to remember is that the award pricing may be different depending on which way you’re going between 2 cities. For example, one-way business class from Japan to Australia costs 40,000 miles in business, but the reverse route from Australia to Japan costs 50,000 miles in business. Keep this in mind so you’re not surprised by 2 different miles prices! Avianca Lifemiles can be transferred from American Express Membership Rewards and Citi Thank You Rewards (both at a rate of 1:1), from Capital One at a 2:1.5 rate, or from Marriott at a transfer rate of 3:1. Hot Tip: We’ve also got an entire article dedicated to the Best Ways to Earn Lots of Avianca LifeMiles, so don’t miss it! Earn 50,000 mile sign up bonus (worth $500) once you spend $3,000 on purchases within 3 months from account opening. Annual Fee: $0 intro for the first year, $95 after that. You can earn Marriott points and transfer those to Avianca LIfemiles at a transfer rate of 3:1. Plus, for every 60,000 Marriott points that you transfer, you’ll receive an extra 5,000 Avianca Lifemiles bonus. You’re also eligible to earn LifeMiles directly from the co-branded credit card from Spanish bank Banco Popular. The last way to earn LifeMiles worth discussing is by purchasing them. We mention this method because there are often gigantic sales of up to 125%-150% bonus miles! Be sure to wait until these sales happen (which is quite often) to buy LifeMiles if you need to. As already discussed, you are best off booking awards online; the phone agents are not as competent as you’d typically like them to be. In theory, you can book any partner award online, but sometimes availability is blocked. For example, Air New Zealand is known to have limited award availability shown on the Avianca LifeMiles website. With business class availability being so rare on Air New Zealand, this example might be one of the extreme cases where you want to try calling LifeMiles. The flat $25 award booking fee is definitely offset by the fact no fuel surcharges will be passed on LifeMiles award bookings. There is also no close-in booking fee, so last-minute awards won’t cost any additional money. However, once you do make your award booking, change and cancellation fees are no joke, so be sure you understand that before setting plans in stone. 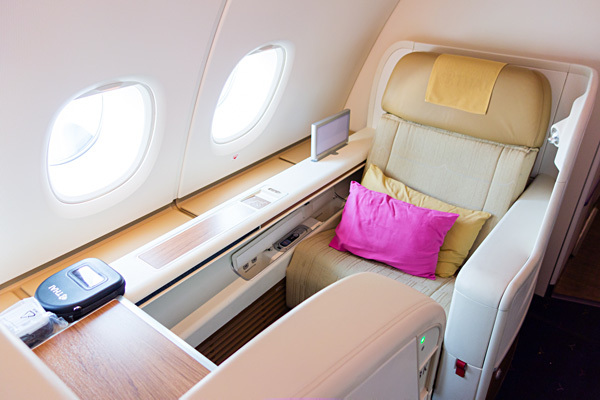 The first choice is definitely one of the most popular: flying on Lufthansa first class! This is a stunning redemption, and flying Lufthansa without surcharges at reasonable rates is often difficult. Lufthansa first class awards are almost never available more than 15 days in advance to partners, so you’ll have to book pretty close to departure. Luckily, LifeMiles doesn’t assess any close-in booking fees! Avianca LifeMiles provides the most affordable way to fly on Lufthansa first class from the U.S. to Europe without paying ~$600 in fuel surcharges each way. First class from the U.S. to Europe will cost you just 87,000 LifeMiles + $31 in taxes and fees! If Europe is on your list, we’ve written an extensive guide on flying there with points and miles. Hot Tip: Need help booking? 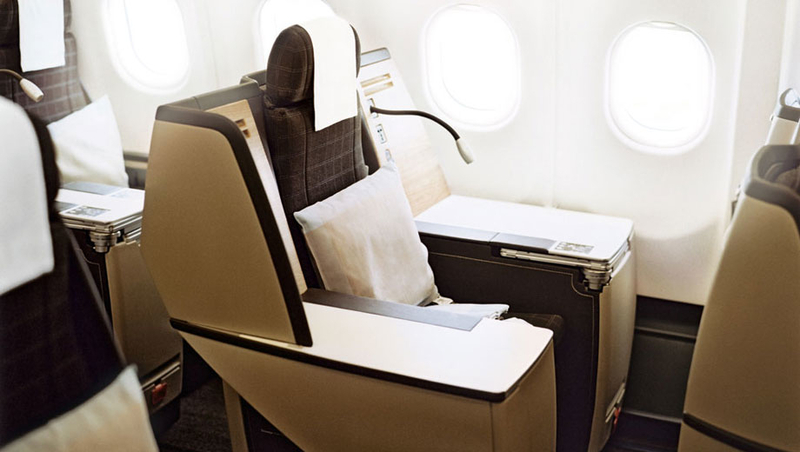 Check out our step-by-step guide for booking Lufthansa first class! Want to fly SWISS Air business class for cheap without fuel surcharges? 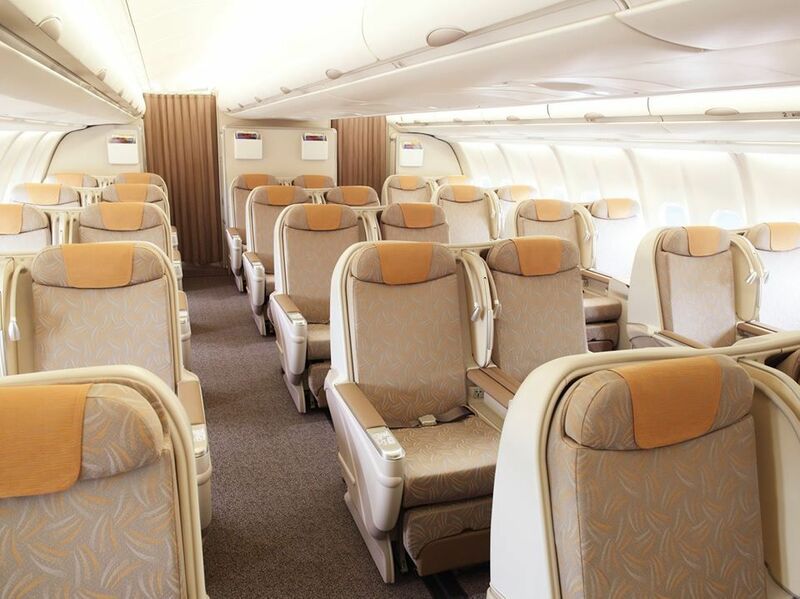 After booking with 63,000 Avianca LifeMiles, be sure to select the throne seats! Image courtesy of ausbt.com.au. SWISS Air has a fantastic business class product that generally has solid availability far in advance. They levy fuel surcharges, but luckily LifeMiles doesn’t pass them on! All but one of their nonstop routes are to Zurich. You can snag a one-way flight for only 63,000 LifeMiles and $31 in taxes and fees! 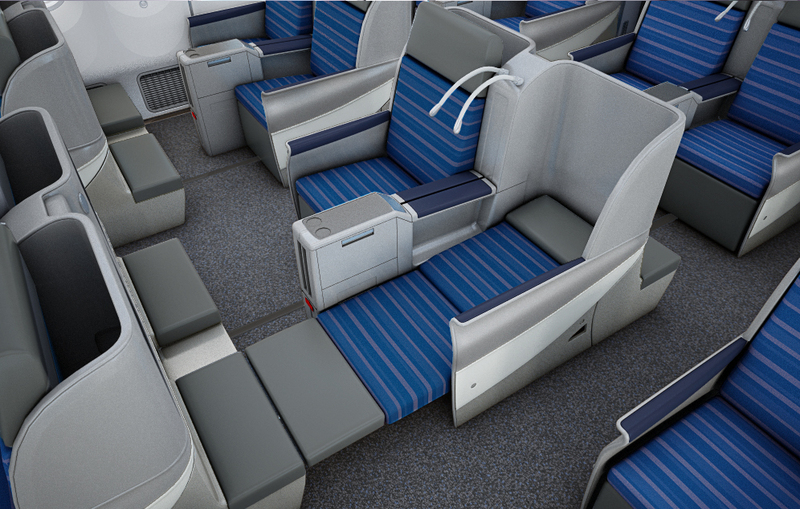 You can’t fly on United Polaris Business Class transcontinental yet, but it’s coming in 2019! Be on your toes, because spending 25,000 Avianca LifeMiles one-way is a steal! Image courtesy of United.com. Another great sweet-spot has to do with the recent surprise announcement by United Airlines that they will fly the 787-10 between Newark and Los Angeles/San Francisco (LAX/SFO) starting in early 2019! 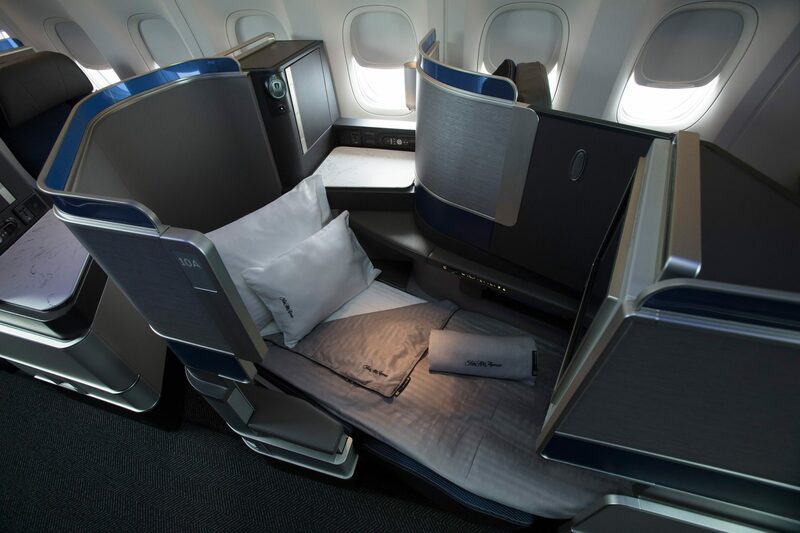 Trying United Polaris across the U.S. will set you back only 25,000 miles each way! Enjoy a lie-flat seat with direct aisle access when flying Polaris. Image courtesy of United. If you want to try United Polaris business class on long-haul flights, you can do so when flying to either London, Tel Aviv, or Frankfurt! It will only cost 63,000 miles each way + ~$31 in taxes and fees. Avianca will routinely run promo awards for different destinations all around the world. There’s some solid opportunity to eke extra value from your LifeMiles due to the discounts offered here. Keep in mind that you’ll need to read carefully and be sure to book the awards when the sale is actually occurring. The promo awards are typically only valid if booked within a short window of time (2-3 weeks). Flying economy on Air New Zealand is a great way to save ~$1,200 in round-trip costs! Image courtesy of the Australian Business Traveler. If you wanted to save money when flying to Australia or New Zealand (where round-trip tickets from America regularly cost more than ~$1,200), you could use 40,000 Avianca LifeMiles + ~$31 in taxes and fees each way! 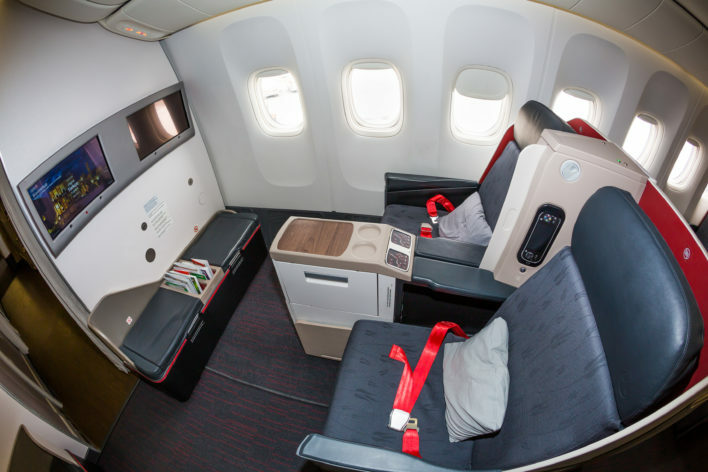 Fly Brussels Airlines in business class for 63,000 Avianca LifeMiles. Image courtesy of brusselsairlines.com. There are 2 nonstop flights to Brussels on Brussels Airlines. Their business class is solid, with direct aisle access and a 1-2-1 configuration. While definitely not industry-leading, LOT Polish Airlines presents a comfortable way to fly to Warsaw, Poland. Image courtesy of theluxtraveler.com. If visiting Poland is high on your to-do list, you will be very pleased to find that Star Alliance partner LOT Polish Airlines has 4 nonstop routes from the U.S. to Warsaw. LOT’s seats are in a 2-2-2 configuration, so direct aisle access isn’t always possible. The seats themselves are not industry-leading by any measure, but it’s certainly a way to fly nonstop to Poland in comfort. Air New Zealand has a unique and excellent long-haul business class product. Interestingly, they have a fifth freedom flight in the 787 Dreamliner between Los Angeles and London, which costs only 63,000 miles + $31 in taxes and fees each way. This a hugely popular route, and it’s impressive that they operate this business class product so far away from New Zealand. Award availability is sparse in general on this route, but availability on Air New Zealand here? If you find a flight, you should definitely book it! 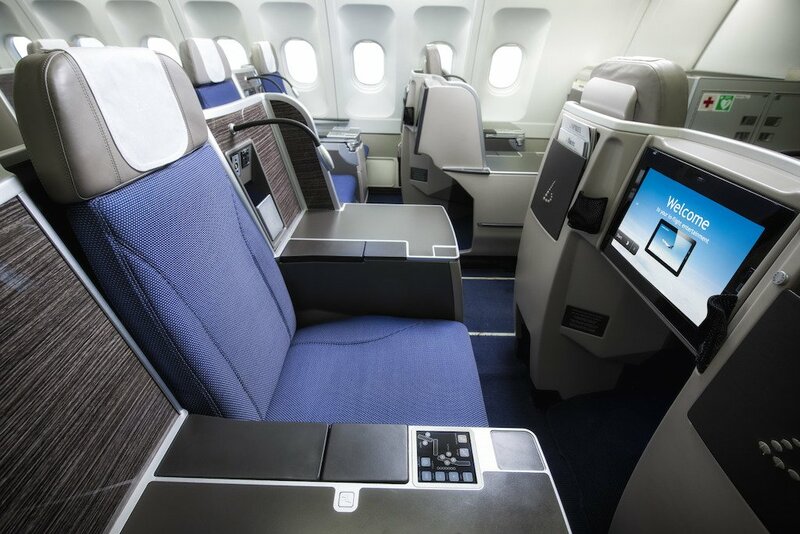 Enjoy the comfort of ANA business class. Image courtesy of aluxurytravelblog.com. 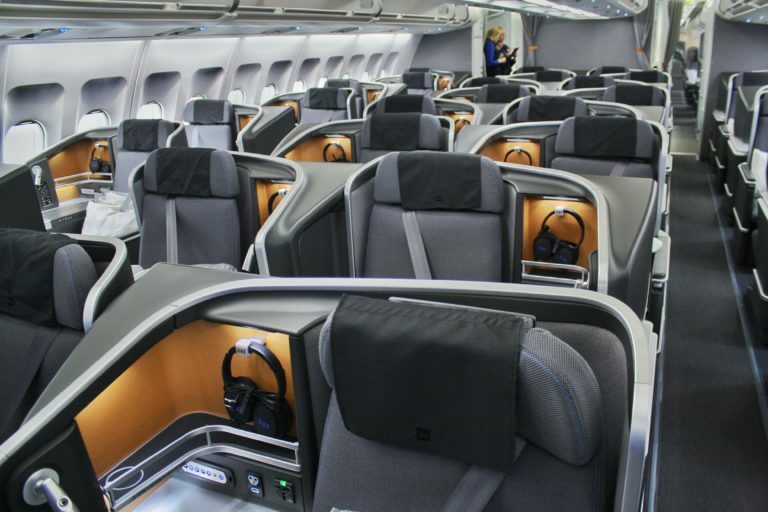 Have you ever wanted to fly ANA business class? Well, you can do so for ridiculously cheap prices using LifeMiles! You’ll fly for almost 10 hours nonstop, and it’ll only cost you 40,000 miles! ANA flies their 787 Dreamliner, which only has business class, but it’s sure to be comfortable with lie-flat seats and delicious Japanese catering. Hot Tip: Need help booking? 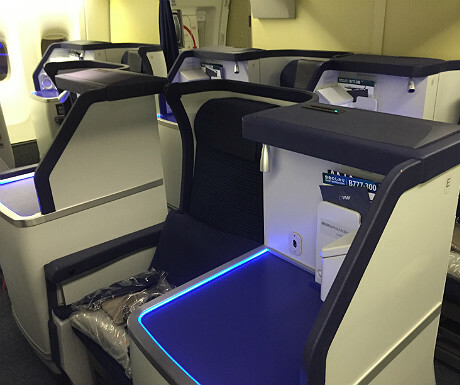 Check out our step-by-step guide to booking ANA business class. Fly Thai Airways Business Class on the A380 between Japan and Thailand for only 36,000 Avianca LifeMiles! Ever wanted to try THAI business class? 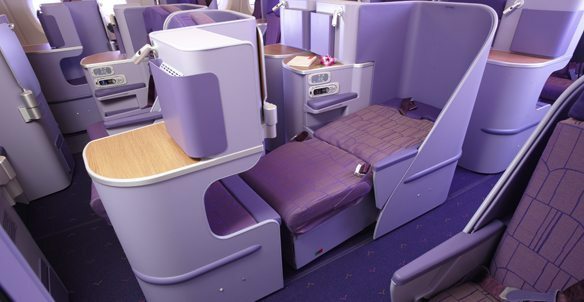 Since Thai Airways operates all different types of aircraft, the business class products are dramatically inconsistent. A solid business class product, however, is on the A380 or A350! You can fly between Bangkok and Japan (6 hours each way) for 36,000 miles! This is definitely an affordable way to try a solid business class product while traversing around Asia. Keep in mind that THAI flies the A350 and the A380 on this route, though the difference is negligible because the seating configuration is the same at 1-2-1. Thai Airways operates a single A380 flight that features Royal First Class. Fly on this for 50,000 Avianca LifeMiles one-way! Image courtesy of travel.bart.la. 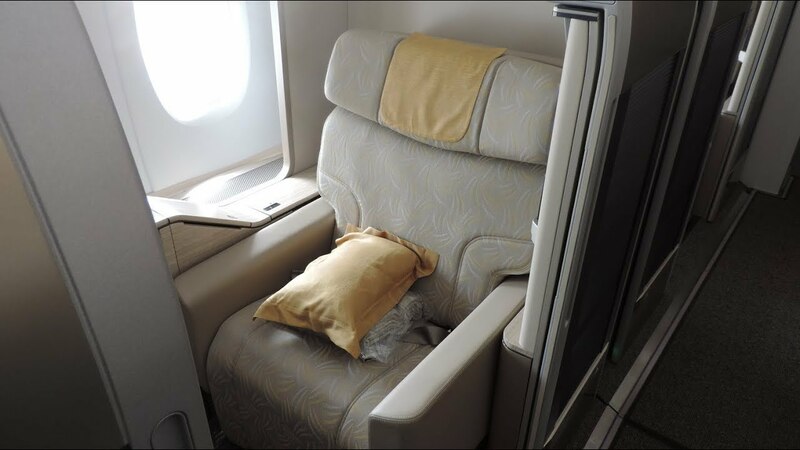 If you want to fly first class between Bangkok and Japan on THAI, you can do so on the A380. 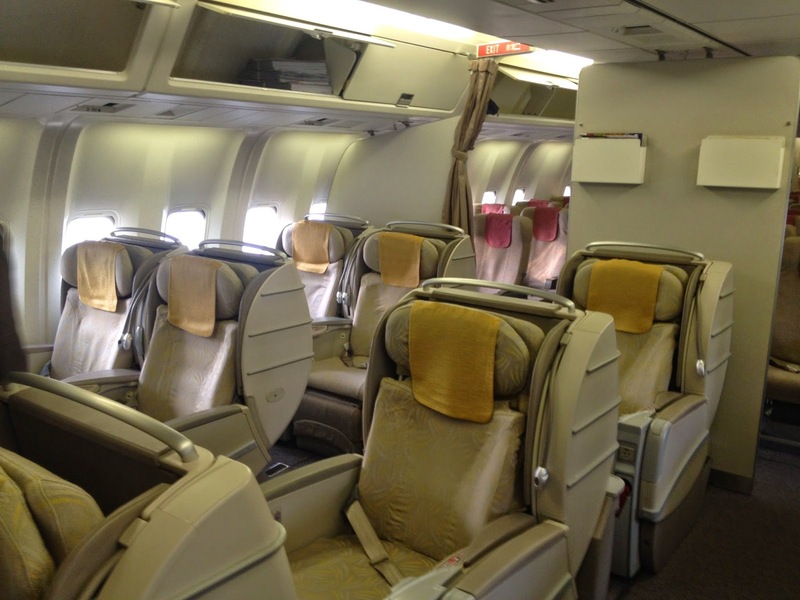 The A350 does not have a first class cabin, but the A380 has 2 rows in a 1-2-1 configuration. The only route operated with an A380 is TG 676, between Bangkok (BKK) and Tokyo-Narita (NRT). 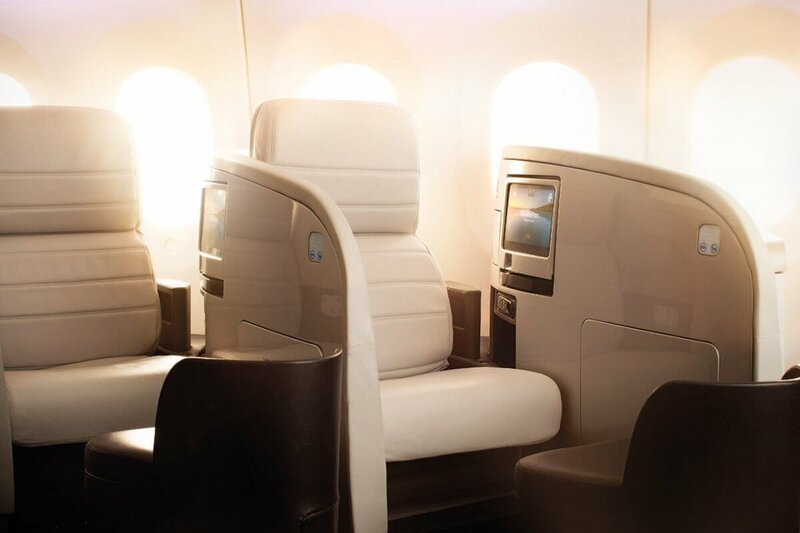 You can fly first class on this 6-hour flight for 50,000 miles each way! Hot Tip: If you take this flight, try to get bulkhead seats 1K and 2K for extra privacy and space! Want to fly from New Zealand to Japan in business class? You can do so on the 11-hour flight operated by Air New Zealand! 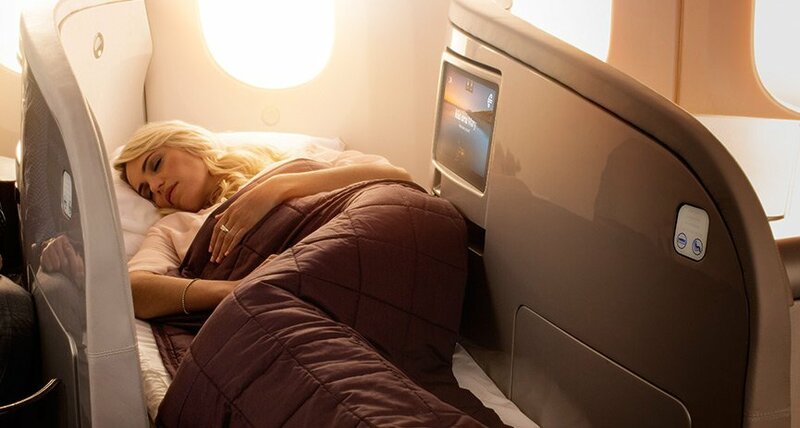 For 50,000 miles and ~$91 in taxes and fees, you’ll be able to fly on Air New Zealand’s great business class product aboard the 787 Dreamliner. With a 1-1-1 configuration and only 18 seats in the entire business class cabin, you will definitely be spoiled to the max! Flying on Asiana’s A330 in business class from Honolulu to Seoul is a great way to try out their regional business class! Image courtesy of pinterest.com. If you’re living from Hawaii, you can enjoy being closer to Asia with shorter flight times to reach places like Korea. Asiana Airlines has a pretty convenient route between Honolulu (HNL) and Seoul-Incheon (ICN) that averages about 9 hours each way for 48,000 LifeMiles. This flight is operated on the A330, which features lie-flat business class seats. This product definitely isn’t the best possible, but is nevertheless a convenient route for those originating in Hawaii. TAP Portugal has a 2-2-2 staggered configuration. It’s a relatively comfortable way to get to Portugal with only 63,000 Avianca LifeMiles. Image courtesy of liveandletsfly.boardingarea.com. Flying to Portugal is a pretty niche award redemption, and it’s impossible to fly nonstop from the West Coast. 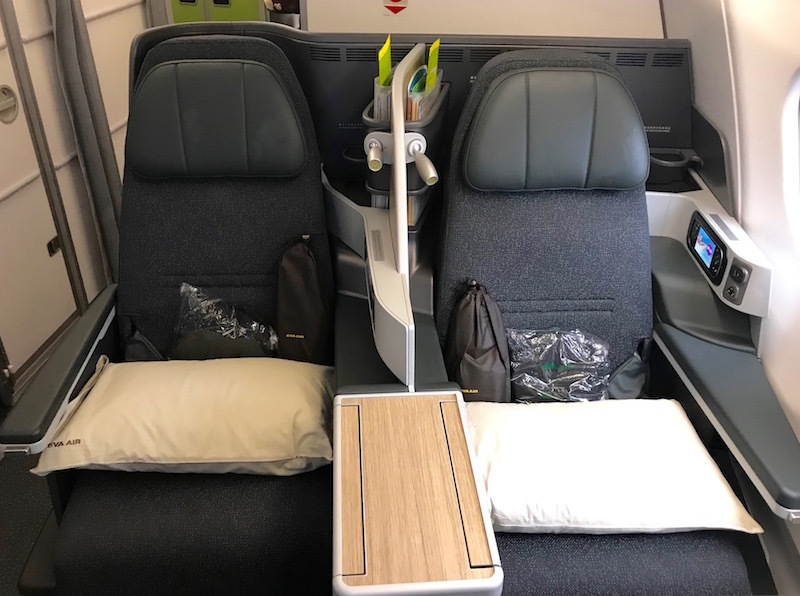 TAP Portugal, the flag carrier of Portugal, offers lie-flat business class seats on their A330, and they fly the A330 from Boston (BOS), Miami (MIA), New York City (JFK), and Newark (EWR). 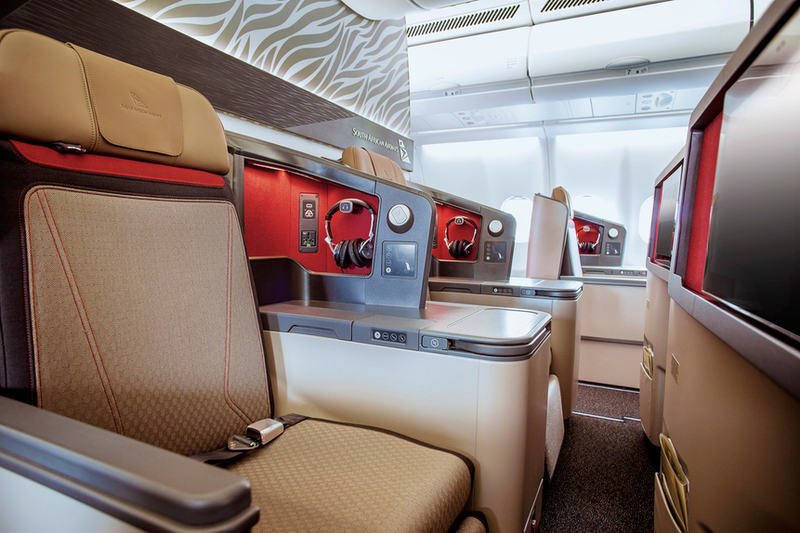 THAI’s best and newest 787-9 Dreamliner features an amazing business class product with reverse herringbone seats! Image courtesy of 9spin.me. 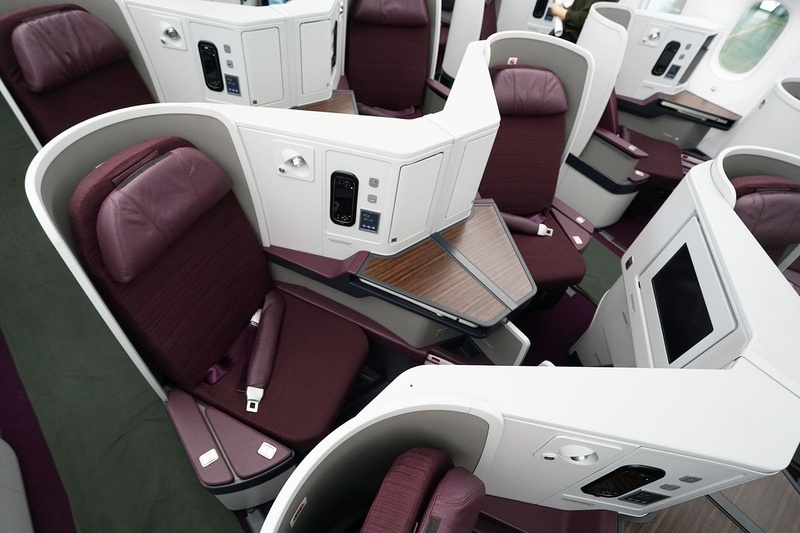 Thai Airways recently debuted their brand new 787-900 Dreamliner, which has an absolutely breathtaking business class. While business class on different THAI planes (particularly the 747 and 777) leaves a lot to be desired, the 787-900 is an industry-leading product. With a reverse herringbone 1-2-1 configuration, brand new planes, and an incredible soft product, this may be one of the best sweet spots Avianca has to offer. You’ll be able to fly this amazing business class on the 11-hour flight from Thailand to Auckland one-way for only 40,000 miles + $31! 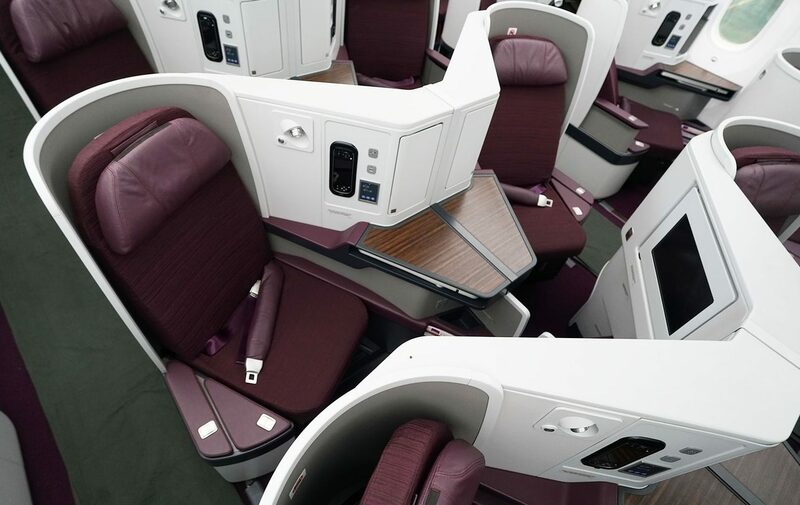 If you wanted to fly on Thai Airways first class, you could do so for 9 hours from Bangkok to Sydney on the 747-400 and spend only 60,000 LifeMiles one-way! When you’re flying THAI first class, be sure to arrive early and visit the first class lounge in Bangkok to get your complimentary hour-long massage, ground service in a golf cart, and unlimited dining options at the touch of an iPad! Want to visit Turkey and explore the serene scenery there? Itching to enjoy some delicious kebabs and Turkish delight? Now, you can fly comfortably on Turkish Airlines with LifeMiles for only 63,000 miles one-way! Unfortunately, Turkish Airlines’ business class product is pretty dated with a 2-3-2 arrangement. This means that the cabin is a lot more crowded — but if you care about legroom, these straight forward-facing seats provide lots of it and are completely lie-flat. This is a comfortable though not extravagant way to fly to Istanbul with points and miles. As always, you won’t be responsible for the common out-of-pocket fuel surcharges that plague European flights! Although Air China has a reputation for being a relatively lackluster airline for anything less than first class, you’ll be able to fly from Honolulu to Beijing in fully lie-flat seats in a 2-2-2 configuration on Air China’s A330! For 11 hours and 25 minutes of flying time, paying 48,000 miles is not bad if you get to enjoy flat beds and decadent Chinese cuisine. If you’re based in Hawaii and want to fly to China nonstop, this is definitely your best option! Cash prices for business class are approximately $3,000, and economy is typically no cheaper than $1,000 round-trip — it’s definitely best to use points for this redemption. ANA’s first A380 service is coming to Hawaii very soon! Try their awesome lie-flat business class for 48,000 Avianca LifeMiles one-way. Image courtesy of traveler-da1.com. If you’re based in Hawaii, finding affordable nonstop flights to Asia can be extremely difficult. For those who want to fly between Hawaii and Japan, spending 48,000 LifeMiles will get you a very solid business class product between Honolulu and Tokyo! On top of this, come spring 2019, ANA will be debuting the A380 on their Honolulu service! This means that you’ll be flying a brand-new, huge, comfortable double-decker with some of the best seats in the business! Until then, however, you’ll have to “settle” for the ridiculously efficient 787 Dreamliner! Save money on economy flights to hard-to-access countries like Brunei and Bangladesh! Use 39,000 Avianca LifeMiles to fly one-way in economy to South Asia. Image courtesy of singaporeair.com. Honestly, cash tickets to some of these countries can get hairy pretty quickly. Instead, for just 39,000 miles, you can fly one-way in economy to any of these places from the U.S.! Don’t care too much about business class when flying to South America? 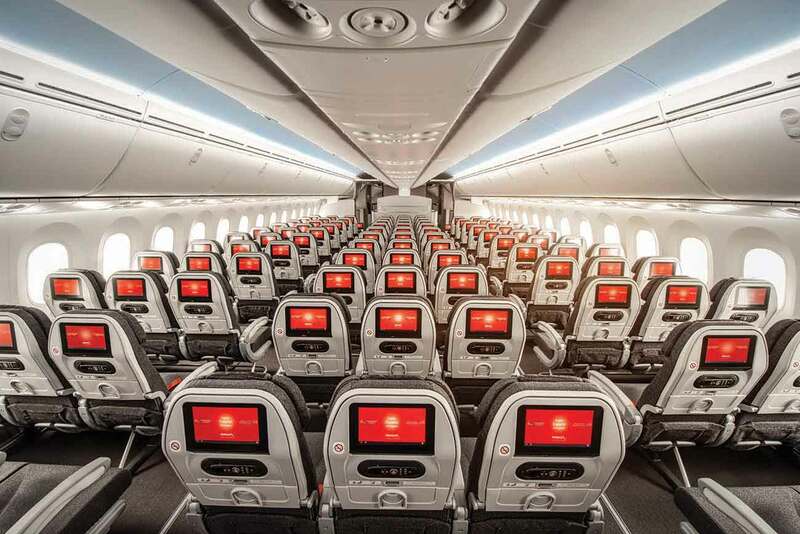 Try out Avianca economy for 30,000 miles each way in economy! Image courtesy of Avianca.com. If heading to any of these countries is on your radar and you don’t want to use too many of your hard-earned points and miles, then look at this redemption! Flying in economy will only cost 30,000 miles each way, which is perfect for budget travelers. Flying in SAS business class is an excellent way to get to Scandinavia with 63,000 Avianca LifeMiles! Image courtesy of airlinereporter.com. Scandinavia is a region that contains several countries. A Star Alliance member, SAS is the flag carrier of Scandinavia, and they have hubs in Stockholm (Sweden), Copenhagen (Denmark), and Oslo (Norway). With this in mind, you can now plan your award travel based on the country you want to visit first or the airport you live closest to. 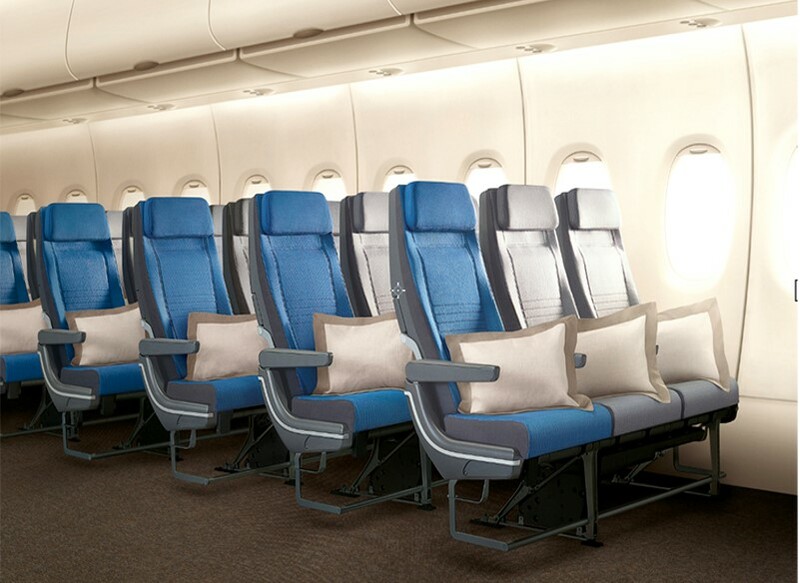 SAS flies the A330 to Scandinavia, and they feature 8 rows of business class seats in a 1-2-1 configuration. Also, these are staggered Thompson Vantage XL seats, which are very similar to the Delta One Suites (but without the doors). 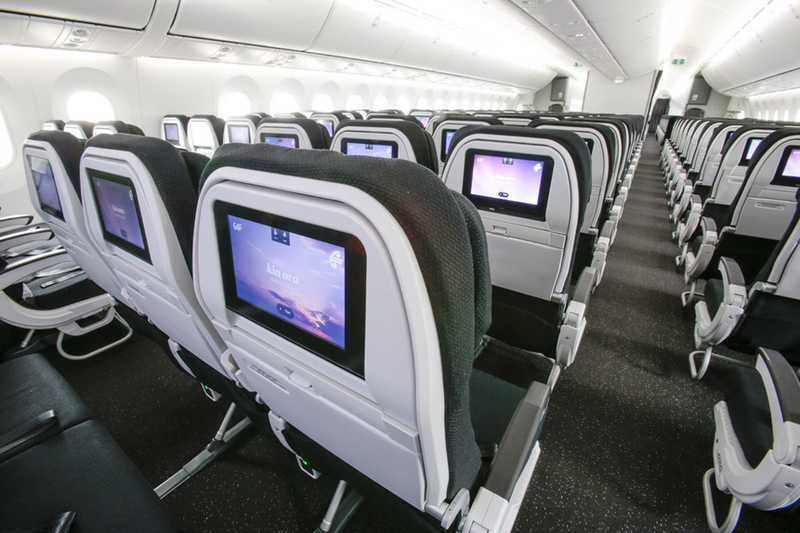 Overall, it is a very solid product with great inflight entertainment, food, service, and comfortable beds that will get you to Scandinavia and leave you pleased! 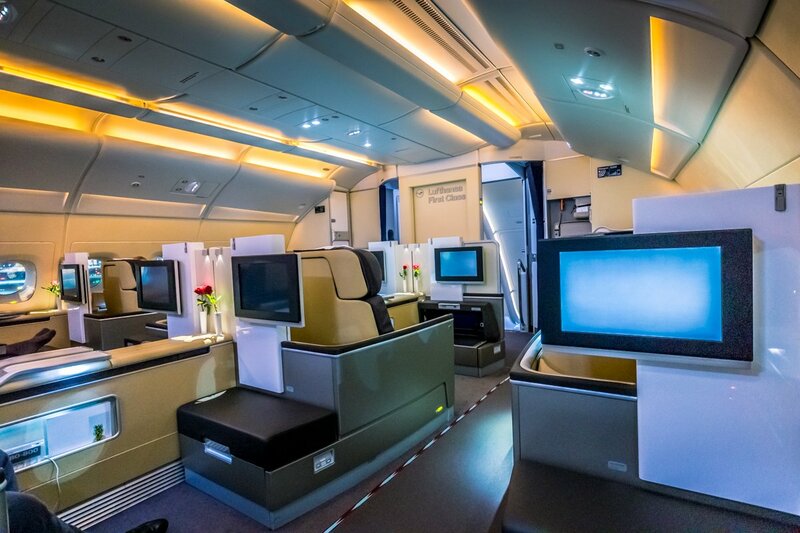 South African Airways offers a stunning business class product! Fly them for 78,000 Avianca LifeMiles to Accra from Washington, D.C.! Image courtesy of ausbt.com.au. You’ll be able to fly on South African Airways business class to Ghana for only 78,000 miles. South African Airways operates the A330 on this route. The seating configuration is a staggered 1-2-1, so you’re guaranteed to have a comfortable flight in business class. Though they aren’t known for fancy amenity kits or a particularly refined service like what you’d receive on Air France, South African Airways is known for having unmatched energy in their crews and flight service! A lackluster business class is probably the best way to describe Egyptair — but it will get you from New York City to Cairo the quickest. Image courtesy of liveandletsfly.boardingarea.com. This particular redemption is even more niche than the South African Airways flight to Accra, Ghana. Egyptair operates a single route to the U.S. (their only other route in North America is to Toronto). They fly a Boeing 777 from New York City (JFK) to Cairo (CAI). This is a 2-cabin aircraft with 2 mini-cabins of business class seats, separated into a cabin of 4 rows and a cabin of 3 rows. Each of these rows are 7 across in a 2-3-2 configuration and angled flat seats. 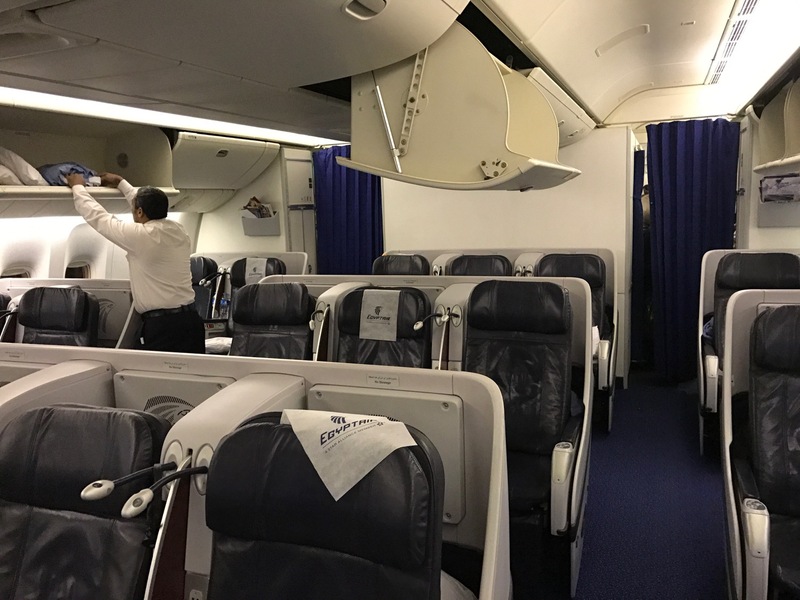 Honestly, these seats are pretty terrible for business class — but again, if you’re a traveler from New York and need to get to Egypt in the quickest way possible without transiting other airports, it is an option. Flying this route in business class will cost 78,000 miles each way. South African Airways flies to Senegal’s capital city Dakar from Washington, D.C. using the A330. Business class is very solid on this route for 78,000 Avianca LifeMiles each way. Image courtesy of ausbt.com.au. South African Airways, as explained above, flies a few intriguing routes. It definitely has a great business class product and can help with niche redemptions. This is one of 2 nonstop routes to Senegal, with the other being Delta’s nonstop flight from New York City (JFK) to Dakar (DSS). The 8-hour flight will cost 78,000 miles, which is quite expensive. However, time is money, and it’s one of the best ways to fly nonstop to Senegal. Like we stated above, South African Airways’ A330 is a very solid product with staggered 1-2-1 seating and Thompson Vantage XL seats — it’s hard to beat! EVA Air’s regional business class product is no joke! They’ve got possibly one of the best A330 products out there. Spend 22,500 Avianca LifeMiles to try them from Seoul to Taipei. Image courtesy of pointswise.ca. One of the best ways to redeem Avianca LifeMiles is on “short-haul” flights within North Asia. Luckily, Avianca has a very generous definition of North Asia. This 2.5-hour flight will cost 22,500 miles each way, and you’ll have the chance to try some solid regional business class products here. Asiana Airlines operates a relatively unique 767 on its service from Seoul to Saipan. Featuring a 2-1-2 configuration, you can fly nonstop in business class on this route for 22,500 Avianca LifeMiles one-way! Image courtesy of pointiff.com. This redemption expands on the “within North Asia” sweet spot for 22,500 miles each way that we explained above. 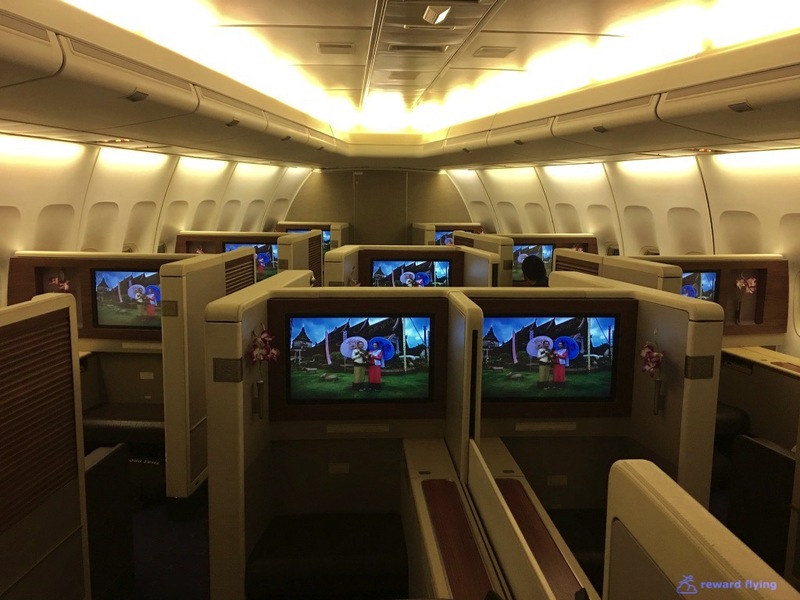 A highly niche redemption, you can fly on Asiana Airlines’ 767 in business class to Saipan in the Mariana Islands. 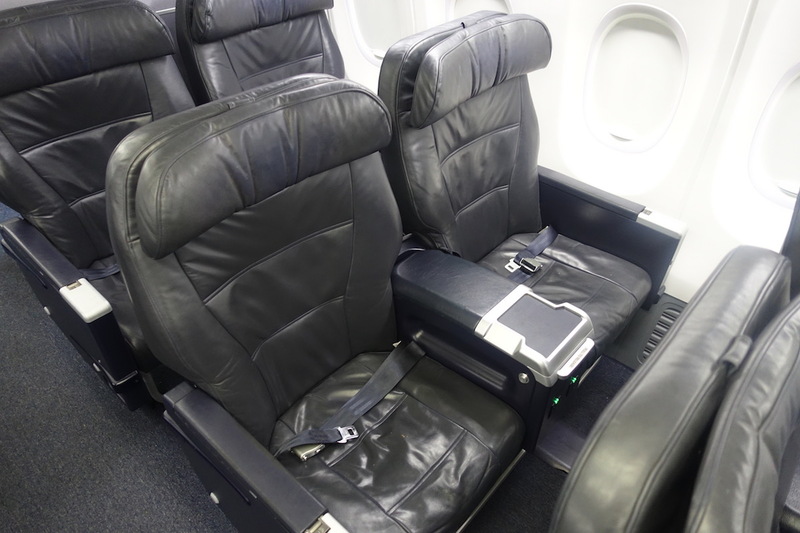 The 767 is arranged in an atypical 2-1-2 configuration with angled-recliner seats. For a short 4.5-hour flight, it’s an excellent nonstop way to get to Saipan directly from Korea. United Airlines uses a 737-8 to fly between Guam and Tokyo. 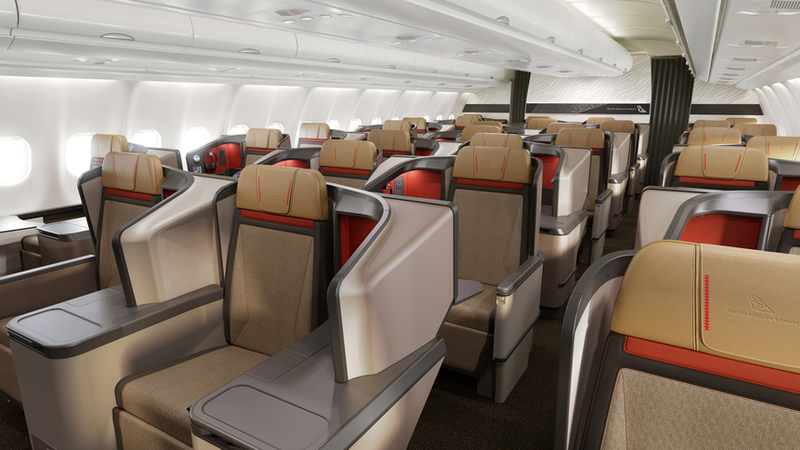 These are nearly identical to domestic first class seats, and you can fly for 22,500 Avianca LifeMiles one-way. Image courtesy of onemileatatime.com. Yet another sweet spot is to fly from Guam (GUM) to Tokyo (NRT) on United Airlines in business class. This also qualifies for the 22,500-mile cost one-way, even though it is a 4-hour flight! The not-so-good news is that these seats are simple recliner seats like the ones you’d find on domestic first class flights. They are arranged in a 2-2 configuration on 737-800 planes. Nevertheless, it’s a great way to get from Guam to Tokyo on a quick 4-hour flight for only 22,500 miles each way. 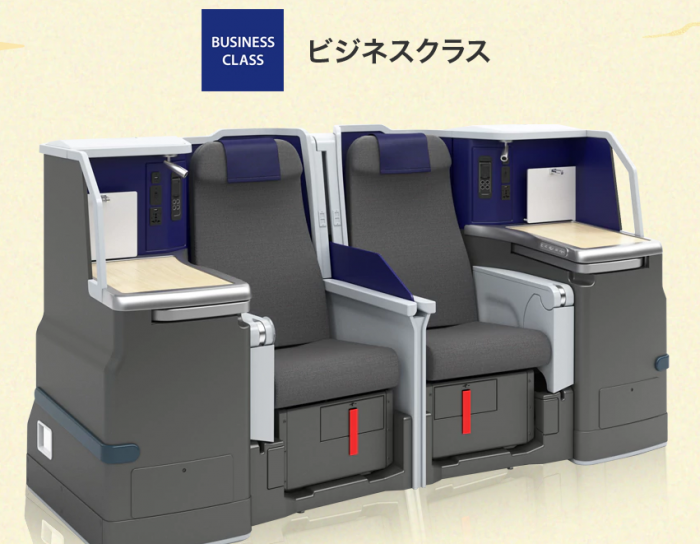 Enjoy ANA business class for 4-5 hours each way from Hong Kong to Japan. This flight will cost you 22,500 miles each way and give you access to an amazing business class product (identical to long-haul routes to America)! Be sure to book travel on the 787 Dreamliner. Image courtesy of ana.co.jp. The last redemption we’ll be discussing in this guide is a darn good one. How would you like to fly 4-5 hours in ANA’s 787 Dreamliner lie-flat business class from Tokyo to Hong Kong for only 22,500 miles each way? Yeah, we thought you’d like this redemption! These 2 countries both fall into “North Asia,” so you can enjoy 4-5 hours in real business class for only 22,500 miles! Hot Tip: A word of caution — ANA operates lots of flights from Tokyo to Hong Kong. 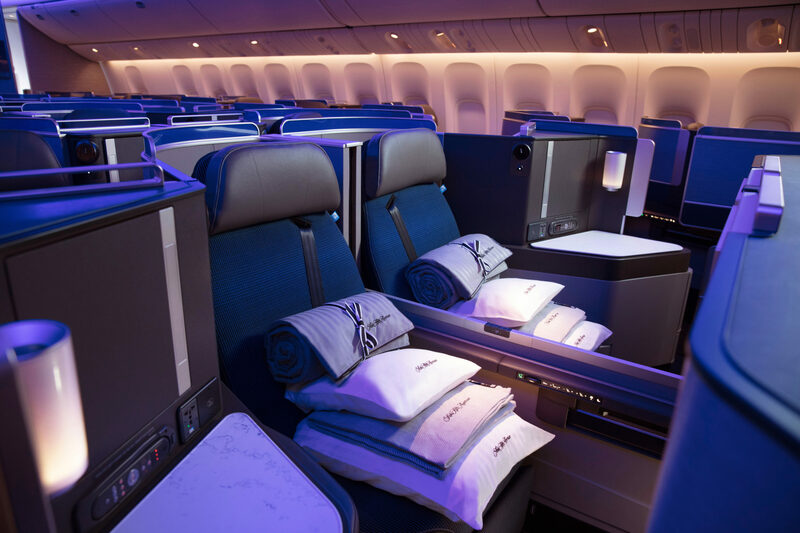 Be sure to book flights on the 787 Dreamliner, because that is the only business class product that has lie-flat seats exactly like long-haul flights from America. Overall, Avianca LifeMiles doesn’t receive enough attention for being a solid all-around frequent flyer program. Citi loyalists will rejoice since Avianca is a transfer partner with Citi ThankYou Rewards, and you can also top off your LifeMiles balance with transfers from Marriott. You may also look into getting the Banco Popular co-branded credit card or buying lots of LifeMiles outright during huge sales offering 125%-150% bonuses! With tons of quality redemptions, no fuel surcharges, no close-in booking fees, and lots of ways to explore the world on Star Alliance partners in first, business, and economy class, you should definitely give Avianca LifeMiles a look when deciding on how to travel! How do I join Avianca LifeMiles? You can join Avianca LifeMiles here. LifeMiles is a separate entity from Avianca Vuela, so you will notice that you’re redirected to an external website. You will make all your award bookings through LifeMiles. Do I need to be an Avianca LifeMiles member to search for awards? Yes, you must join LifeMiles to search for award availability. Also, keep in mind that Avianca LifeMiles is not the best search engine for multiple connections. The search engine becomes clunky at that point and can display incomplete award availability. How many Avianca LifeMiles do I have? Check your Avianca LifeMiles balance by logging in here. You may also boost your LifeMiles by purchasing during one of their many sales! With these sales, you’re eligible to receive up to 150% bonus miles! Be sure to hold out for these sales when buying miles. When do Avianca LifeMiles expire? Avianca LifeMiles expire after 12 months unless there is qualifying earning activity, which includes purchasing any amount of LifeMiles. If your miles are about to expire, you can always buy a small amount of LifeMiles, such as 1,000 LifeMiles. How many Avianca LifeMiles are required for a trip reward? Avianca LifeMiles has an award chart that can be viewed here. Partner flights and Avianca flights are priced the same. Make sure to confirm the award cost online when searching for award flights. Which credit cards can I use to earn Avianca LifeMiles? You can look at the co-branded Banco Popular Avianca Vuela credit card if you want to earn LifeMiles directly. We recommend always using AmEx, Citi, or Capital One cards due to the fact that you don’t need to limit yourself to only earning LifeMiles. You can pick when to transfer to LifeMiles or other partners. How can I contact Avianca LifeMiles? You can call Avianca LifeMiles at 1-800-284-2622. You can also email them at e_solutions@centrosolucionavianca.com. The call center representatives are not exactly the most competent people in the industry, so just be prepared to have to call several times to get the outcome you desire. Are stop overs allowed on Aviance or all of these options you mentioned have to be nonstop flights? The flights cannot have stopovers, but may have layovers. Therefore, they do not need to be non-stop. Stephen, thanks for a fantastically detailed review of the Avianca program. Thanks for the great feedback! We release great content like this all the time for your benefit! Hi- great article on Life Miles – I was wondering as ANA is part of Star Alliance- could you transfer lifemiles to ANA s program and if yes, would it be 1-1 swap ? ANA is part of Star Alliance. You may not transfer ANA miles between Avianca Vuela miles. You may book travel on ANA using Avianca miles. There’s no “Vuela” in Avianca, it’s just Avianca. This has been changed, thank you! How do I upgrade star alliance airlines with Lifemiles. I saw online saying that for upgrading from economy to business, the only way is to “call them.” Is there any other way around? Yes, you’ll need to call Avianca LifeMiles to upgrade your Star Alliance flights. There’s no easy workaround to this, and you’ll want to confirm availability online before calling.